IHG Middle School 7th and 8th grade writing contest, "Voter Identification Law: For or Against"
Matthews and Elliot engaged in a mock debate about the Voter Identification Law to increase the students' awareness on both sides of the issue. At the end of the mock debate, they explained the rules and criteria for the writing contest, available by clicking HERE. The winning essay For Voter ID Laws and the winning essay Against Voter ID Laws will be published at www.raymondvip.org and also in the Raymond VIP voting guide mailed to homes in late February. 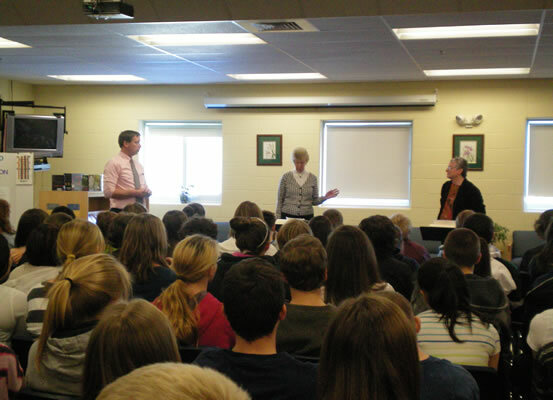 Winners may also read their essays at the School Deliberative Session in February 2013. The “Voter Identification Law: For or Against” writing contest submissions are due by December 21st. 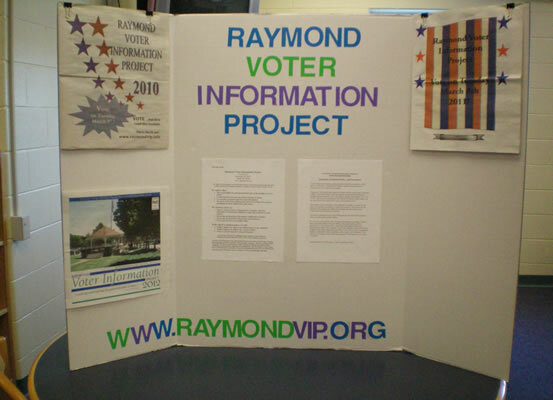 If you would like to volunteer or learn more about Raymond Voter Information Project visit the website at www.raymondvip.org.